Okay, so now that the cat is out of the bag that we're building a farm house, my little "Dream House" series isn't exactly a total dream! In fact, these design boards are definite and true reflections of some of the rooms we want to create in our new house. Very exciting, right?! Downstairs, we hope to have a half/powder bathroom for daily and guest use. Just a toilet and a sink, nothing fancy. 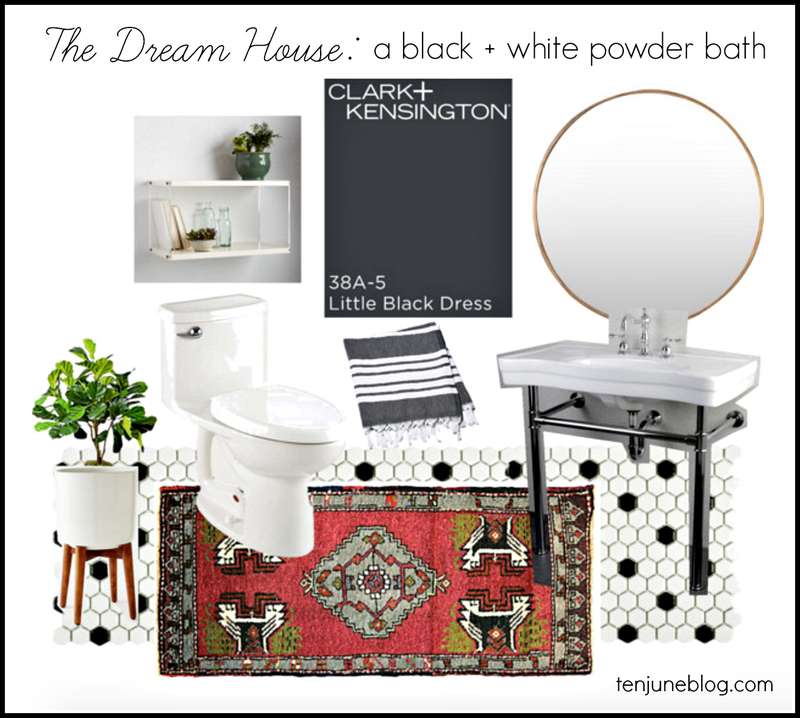 Okay, and maybe some retro black and white hexagon tiles, a killer vintage rug and some inky black walls. That will do, don't you think? 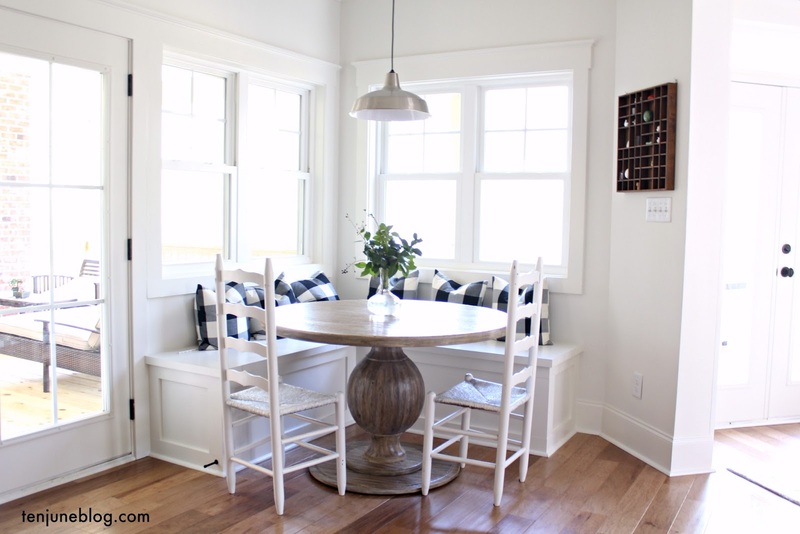 I want this to be a space that feels homey and classic, but has a somewhat unexpected and funky vibe. I think an acrylic shelf and a wooden leg plat stand would add a modern touch and the black moody walls will give it that wow factor. Totally digging every bit of this! AND we got your Christmas card today...SO cute!